(Jakarta, 06/15) A motel. A hiding place, yet you can’t hide your dark secrets. Dawn and her daughter, Steph run away after Steph attacked a man. Although they try to hide during day, Dawn opens a relation with a cop, until he digs too deep about her dark secrets. 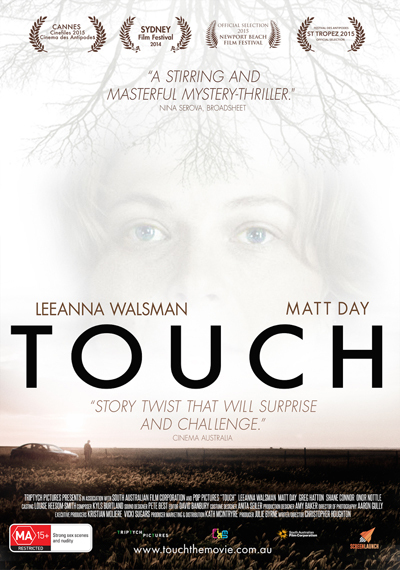 Juries of the Asia Pacific International Filmmaker Festival and Awards (APIFA) 2015 finally choose one best film from hundreds of films submitted: the intriguing yet excellent produced, Touch, directed by Christopher Houghton from Australia. A series of finely produced films like Battalion directed by Dmitry Meskhiev, Indigo Grey Chapter One: The Passage directed by Sean Robinson, Kurokawa Wonderland directed by Yasuhiro Tamura, Mouna Vizhiththuligal directed by Ilango Ramanathan, My Cliff directed by Galia Albin, One Armed Man directed by Tim Guinee, One Minute To Leave directed by Brian Sounalath, The Island directed by C. Jay Shih, Tokko Shigan directed by Kenshow Onodera, and Typisch Lang Lang directed by Marc Pos, are also credited as the Winners of Asia Pacific Platinum Awards. APIFA conducted its opening ceremony at the Russian Cultural Center, Jakarta, on the 4th June 2015. On that day, the festival screened One Armed Man directed by Tim Guinee (USA). This film is the last masterpiece from the legendary producer and actor Academy Awards winner, Philip Seymour Hoffman (Capote, Hunger Games, Mission Impossible 3, Doubt, The Ides of March, etc). APIFA awarded him with a special jury award for his contribution for the society and in the film industry. APIFA was first established to encourage newcomers and students to explore their talents and give the best of their efforts and passions for the beauty of art, the deliverance of message/information, the variety of life, and for the film industry itself through freedom to express their voices. Some of the winners of the festival visit Jakarta during festival season and stay for a couple of days in. During their stay, they share their experiences in film making with more than 300 local filmmakers from 33 provinces in Indonesia. The international filmmakers conference and festival is organized by the Indonesian Council of Creative People who works together with the Indonesian Ministry of Youth and Sports. The grand Auditorium of the Ministry of Youth and Sports has also become the place for the Award Day of the festival on the 9th June 2015. The event was inaugurated by the Indonesian Minister of Youth and Sports, Imam Nahrawi, and was attended by the winning international filmmakers, hundreds of local filmmakers, celebrities, and notable guests from foreign countries.